Various people from every country around the world decide to migrate every year, many of whom choose Australia as their ideal destination. There are varied factors for each individual that contribute to the final location decision. Australia is a multicultural community, with a population of approximately 23million people although the native language is English there are many other languages spoken there through a history of immigration. Being accepted as an Australian citizen offers colossal opportunities for skilled workers. The process an applicant must complete in order to be granted citizenship alternates depending on the type of visa they are applying for. 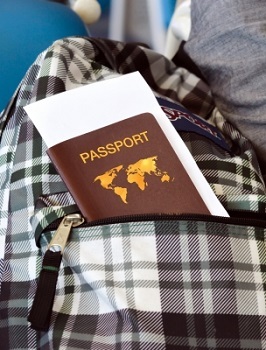 Once the visa type has been decided based on the applicants requirements and eligibility has been verified, documentation to support the application should be gathered, documents such as proof of identity, bank statements to prove you can financially support yourself for at least 12 months and character references are required. The Australian immigration process has had recent changes however if an applicant has acquired certain skills which are required due to a shortage of skills in that specific area or you have a large amount of capital which you able and willing to invest in the economy there is a immense chance that the application will be accepted. To be granted Australian citizenship you initially need to be accepted for a Australia permanent visa allowing you to reside there for four years. after legally living in Australia for the required time you can then apply for citizenship providing within the four years you have not left the country for longer than twelve consecutive months and no more than 90 days prior to application. On completion of the relevant forms and documentation they should then be handed in ready for processing, when the applicable documents arrive at the depart the applicant must attend a citizenship appointment which can last for up to two hours, failure to attend may lead to the application being refused. Following the appointment the applicant will be asked to take either a citizenship test or attend a citizenship interview. A decision will then be made on acceptance or refusal, if the application is successfully accepted the applicant will need to go to a citizenship ceremony and take the Australian citizenship pledge to finalise the process. On average the duration between being approved and being invited to the citizenship ceremony takes approximately three to six months, any child on the application under the age of sixteen will automatically gain citizenship when the applicant takes the pledge, other adults will have to follow out the process themselves.